If you are new to Black consciousness and are wondering where to start, this article is for you! Read it and share it with your circles, groups, and followers. The more people who join you on your path, the stronger our movement becomes! As the Co-Founder of two global Black organizations, I have given thousands of members who are new to our community the same advice: start by understanding who you are, then self-educate in order to achieve your lifes purpose. When I first came into consciousness, I was taught to believe the way that others believed, and to accept the opinions of others as my own. From the Nation of Islam to the New Black Panther Party, I was indoctrinated to change my identity to one that fit those organizations. But that never felt right to me. As I got deeper into the knowledge and read books like these scrolls, I realized that consciousness is not about following other peoples teachings, but letting those teachings reveal the truth within you. True consciousness is not about understanding who other people are and their dogma! It is a process that helps you understand who you are, how you came to be, the world around you, and your place in that world! There are two concepts that I – along with the rest of our organization – developed to help you understand who you are: the concept of your Nia and the 5 Elements. Understanding your nia – a Kiswahili word that means ‘purpose’ – is the most important task on your path to gaining knowledge of self! This purpose is your life mission, and it is the reason why you are here. For you to live ‘on purpose’, every part of your life must be aligned with your nia. Discovering the reason why you are here is not hard. In fact, with a few hours of concentration and focus, you can go through this process of self-discovery on your own. At the end of this article, I will give you a link to a podcast that I recorded that will help you discover your nia, so keep reading and take action once you are done. I mentioned above that the way you live on purpose is by aligning every part of your life with your nia. The problem that I discovered in the Black Conscious community was that there were thousands of ways to define the different parts of your life. But when I started to break everything down, I found that there are really only 5 elements that make up the hue-man being. In our article titled How To Expand Black Consciousness By Understanding The 5 Elements Of Your Life, we break down each element of life and how to structure your life in a way that these elements align with your nia. Click here to read through the article or bookmark it for later! Once you understand who you are and why you are here, it is important for you to understand the past. When we study our history, we come to understand how we got here, what worked and what didn’t work for our ancestors, and what the future may be like if we repeat our mistakes. 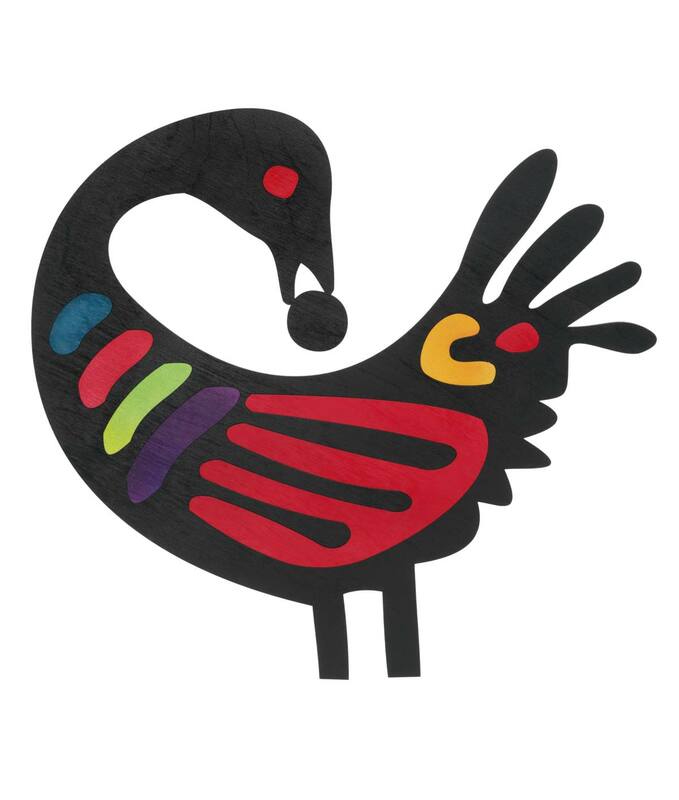 Sankofa is an Twi word from the Akan people that translates roughly as ‘go back and fetch it’. In other words, go back to the past to pick up the lessons you may have dropped along the way. It is important for you to understand that sankofa is more than the mere study of Black history. Studying history for the mere purpose of learning facts about people and places is useless. Sankofa is cultural recovery and remembrance of ancient visions and values directed toward grounding and enriching our lives in the present day, while advancing the interests of our liberation struggle. So when you ‘go back and fetch it’, you see the stories of the past as lessons that you can apply to your life in the present. You are less likely to make the same mistakes that your ancestors made, and you are more likely to build on their legacies of success. One of the biggest barriers to African unity is our language barrier – if we can’t communicate, we can’t coordinate. Therefore as an organization and a movement, our official language is Kiswahili – one of the most widely spoken languages on the African continent. There are anywhere from 50 million to over 100 million Kiswahili speakers. That means with a population of 1.2 Billion, more than 10 percent of the African population already shares the same language. Learning a new language will help you connect with the millions of other Pan-Africans who already speak the language, and it will make you a better, more intelligent communicator too. Most of what you need to know on your path cannot and is not being taught in the public school system. That means you will need to take responsibility for educating yourself. But that raises another problem. There is an infinite amount of information available, and that can quickly lead to information overload. Where should you start? What should you read? Should you learn from books, podcasts, or Youtube? Only focus on learning what you need to know to achieve your life’s purpose. Astronomy may be interesting to you, but if your area of focus is economics, then its best to focus on topics related to the latter rather than the former. Only use learning methods that you can give the most of your attention to with the least amount of distraction. In other words, if you can do something else while you are studying, that learning method is not the best way to absorb knowledge. For example, if you can watch a youtube video and do chores at the same time, your attention is divided and you are less likely to learn whatever you are watching. Podcasts and youtube videos can be entertaining, but you will learn much more (and much faster) by reading. Thats why we created a list of the 12 Scrolls every member of our community should read. If you have a tablet, many of these titles are available for free, and if you insist on listening to these books while you drive then you also have an option to download audio books using an audible trial. Click here for the 12 Scrolls every member of our community should read. If you have started the course or you have started reading the books on the list above, leave a comment below. Or just take a second to introduce yourself to the family, and share some insights on your journey! I have been searching a while for a site/group like this with discussions surrounding Black Consciousness and Unity. From what I have read so far, everything is very well written and researched, and I thank you for that. I recently developed an apparel line which embodies many of the topics here, and I hope to expand the line with messages and the newfound knowledge I acquire here. Peace. Something to think about on African consciousness vibe. Remnants of Ashanti Twi even made its way to Jamaica! People learn more than just Kiswahili! Where the language is spoken is subordinate to syntactical synthesis for non-indigenous language speakers, however there are several other languages we advocate learning as evidenced by this article https://www.panafricanalliance.com/languages-for-african-spirituality/ . With that being said, our ancestors (i.e. Dr. John Henrick Clarke) and contemporaries (Drs. Maulana Karenga, et al) have already done the knowledge on the languages we should be speaking and why. We are obedient to their direction since it is grounded in logic and saves us the time of trying to reinvent the wheel. We should all be learning as many languages as possible regardless. I cant thank you enough for the words, family. Being a member of the movement can be a thankless job, so it is uplifting to know this had a positive impact on you! I was glad to come across your information, have ordered the books and are taking notes on the Swahili language. I would like to talk with some others who are also new to this alliance. Asante.